ROCKVILLE, MD, February 5, 2019 – Argan, Inc. (NYSE: AGX) (“Argan” or the “Company”) announced today that on January 31, 2019, its wholly owned subsidiary, Gemma Power Systems (“Gemma”), entered into an engineering, procurement and construction services contract with Guernsey Power Station, LLC to construct a 1,875 MW natural gas-fired power plant in Guernsey County, Ohio. Construction for the facility is scheduled to begin in the spring with completion scheduled in 2022. The power trains for the facility are provided by General Electric Company and utilize single shaft 7HA.02 gas turbines. A limited notice to proceed has been issued to Gemma to begin preliminary design and site preparation activities. Guernsey Power Station is being jointly developed by Caithness Energy, L.L.C. and Apex Power Group, LLC. Using state-of-the-art combined cycle technology and a dry (air) cooling system, Guernsey Power Station will be a cost-efficient and fuel-efficient plant. Each power train, in its own turbine building, will consist of one H-Class gas turbine equipped with evaporative inlet cooling, one triple pressure reheat steam turbine and one water/hydrogen cooled electric generator arranged on a common single shaft. Each power train will have an outdoor triple pressure heat recovery steam generator (HRSG) equipped with supplemental duct firing capabilities, selective catalytic reduction technology for NOx, and an oxidation catalyst for CO/VOC reduction. This project will also boost the local economy through economic activity, and tax revenue for the local community and schools. “Caithness is excited to be partnering again with Gemma on this important project. Gemma recently completed our 1,080 MW Freedom natural gas-fired power plant which was constructed for the lowest cost per installed kilowatt of any recent project in the region. 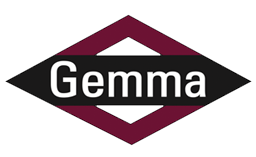 We are looking forward to continuing to improve and strengthen our relationship with Gemma on this project. ” said Les Gelber, President and Chief Operating Officer of Caithness. “We appreciate the confidence the Caithness and APEX team has shown in us and we look forward to building this project together,” said William F. Griffin, Jr., Chief Executive Officer of Gemma. “We’re pleased to be working in Ohio and we look forward to re-establishing positive relationships with the surrounding community,” he said. Argan’s primary business is providing a full range of services to the power industry, including the engineering, procurement and construction of natural gas-fired power plants, along with related commissioning, operations management, maintenance, project development and consulting services, through its Gemma Power Systems and Atlantic Projects Company operations. Argan also owns SMC Infrastructure Solutions, which provides telecommunications infrastructure services, and The Roberts Company, which is a fully integrated fabrication, construction and industrial plant services company. Caithness Energy, L.L.C. is a privately owned independent power producer engaged in the development,acquisition, operation and management of environmentally progressive renewable energy and natural gas power plants in the United States. Since 1995, Caithness has successfully invested in 54 power projects utilizing wind, geothermal, solar and natural gas. Certain matters discussed in this press release may constitute forward-looking statements within the meaning of the federal securities laws and are subject to risks and uncertainties including, but not limited to, the Company’s successful addition of new contracts to project backlog, the Company’s receipt of corresponding notices to proceed with contract activities and the Company’s ability to successfully complete the projects that it obtains. Actual results and the timing of certain events could differ materially from those projected in or contemplated by the forward-looking statements due to a number of factors detailed from time to time in Argan’s filings with the SEC. In addition, reference is hereby made to cautionary statements with respect to risk factors set forth in the Company’s most recent reports on Forms 10-K and 10-Q, and in other SEC filings.